Please complete the following information and one of our Quiz Masters will contact you! Not all fields are required to make an enquiry. All events are subject to availability, terms and conditions. A fundraising event for your sporting club, school or social group. The automatic scoring and marking means that in the breaks we have more time to raise funds! We are the fundraising experts and can help with ideas, games and activities for making the night as profitable as possible. 100% of all money raised during your event goes to you! The perfect start or end to a conference, seminar or awards night. We can incorporate your special event into the quiz, and we tailor every event to suit your needs. From a small social night, to large scale events of 500+, our unique buzzer system can easily cater for all types of events, themes and occasions. If you are over boring pen and paper trivia, or are just looking for something a bit different, then QuizzaMe is the exciting new game-show style product for you! QuizzaMe has a very flexible format that can be customised to suit your needs, contact us today to get your own special QuizzaMe show designed just for you. We go the extra mile when it comes to a QuizzaMe special event. We can fully customise your event to suit your theme, brand or company. This includes length of quiz, questions, content and even hosts! 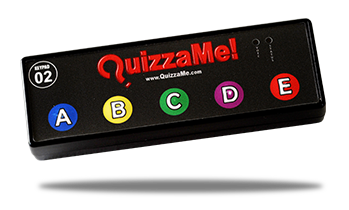 Enquire today about how QuizzaMe can bring back the wow factor to your trivia event.